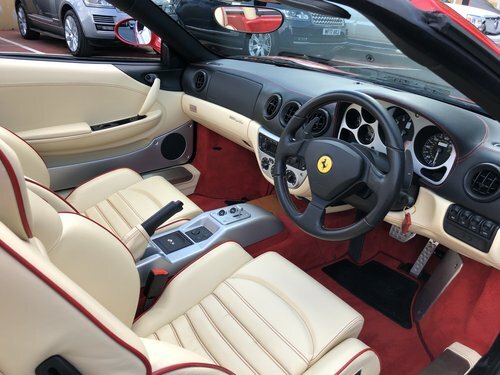 Rosso Corsa with Cream leather stitched Red, F1 Challenge grill, Red calipers, electric seats, Sport button, ASR, climate, wind deflector CD Nav hifi, F1 Auto gearbox with paddles. 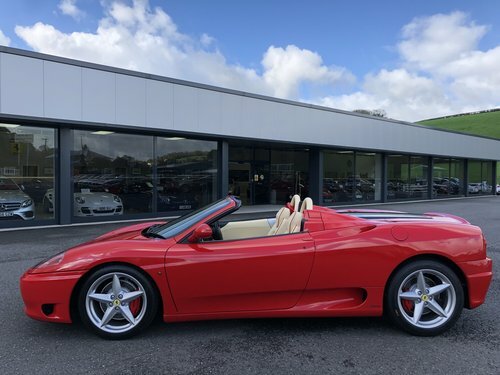 Exceptional 360 Spider covered just 16,365 miles from new with Ferrari service history including cambelt in 2017 under 500 Miles ago CASTLE MOTORS purpose-built luxury showroom & forecourt has a wide range of cars for sale, including some of the world's most prestigious automobiles. Founded in 1972, we are open 7 days a week & offer a wide range of services. 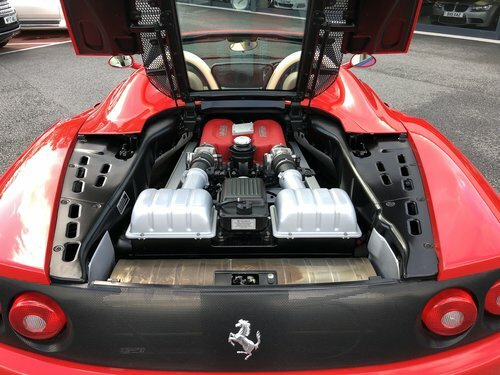 All of our vehicles are presented to the very highest standards possible having gone through our comprehensive multi-stage preparation, in our own in-house workshops. 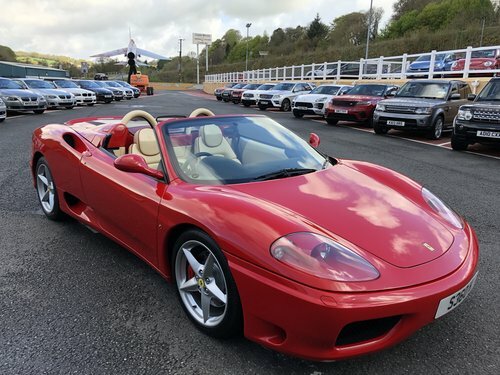 2003 Ferrari 360 3.6 Spider F1, 1 owner from new, 7,981 miles!!! 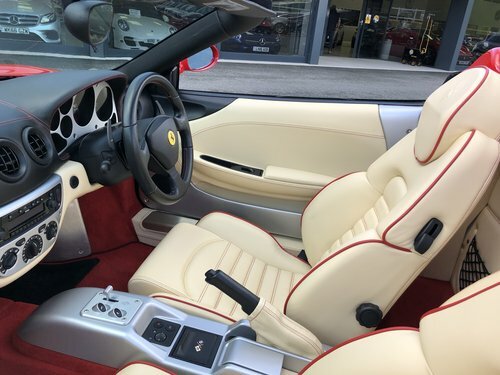 Ferrari 360 Modena, year 2000, red with beige interior, 55.000 km from new, MANUAL gearbox, bookservice, very good condition in general. 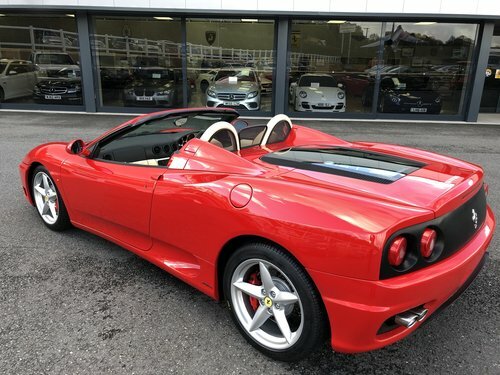 2002 Cherished example low miles....faultless! !